I’ve just received my latest gadget!!! 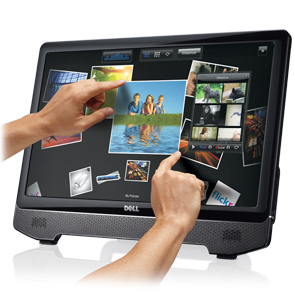 I wanted a monitor to plug to my laptop at home and I went for the Dell ST2220T 21.5″ Multi-Touch. I had a very good deal from Dell Pre-configured website and the monitor is pretty nice. At this price range, you can’t expect having more than 2 touch points, but it still does the job… More particularly since there isn’t many apps around for this. I discovered the Microsoft Touch Pack for Windows 7 which provides a set of sample apps to play with a multitouch display.